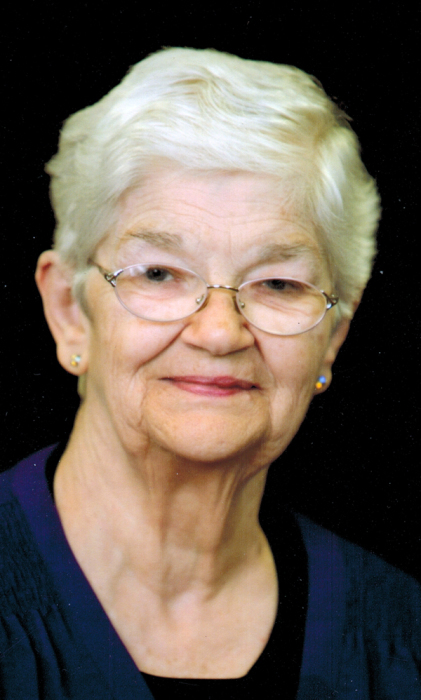 Maxine J. Hopping, 83, of Bettendorf, Iowa passed away Tuesday, February 12, 2019 at The Fountains, Bettendorf. Funeral services will be held at 11:00 a.m. on Friday at Asbury United Methodist Church, Bettendorf. Visitation will be from 10:00 a.m. until service time. Burial will be in Abingdon Cemetery, Abingdon, Illinois. Memorials may be directed to Asbury United Methodist Church. McGinnis-Chambers Funeral Home is assisting the family with arrangements. Maxine was born February 23, 1935 in Abingdon, Illinois, the daughter of Clarence and Edith (Courson) Roberts. On October 8, 1954, she married Everett “Bud” Hopping in Abingdon. He preceded her in death in 2014 after celebrating nearly 60 years of marriage. Maxine worked as a beautician in her earlier years and later became a homemaker after her family moved to Moline, Illinois in 1966. She was a nurturing mom and grandma, known for her shopping trips and her delicious cooking. She often sacrificed her own wants to make sure her children had above and beyond what they needed. Those left to honor Maxine’s memory are her daughters, Beverly (Michael) Reed, Peggy (Karl Jahns) Newman, all of Bettendorf; brothers, Clarence (Dorothy) Roberts of Galesburg, Illinois, Lyle (Karen) Roberts of Abingdon; grandchildren, Sarah (Ben) Blanchard, Dani (Brett) Wiebler, Lindsey (James III) Cox, Mica (Andrew) Frandsen; 4 great-grandchildren with 3 on the way; and several nieces and nephews. In addition to her parents and husband, she was preceded in death by an infant sister, Barbara; son-in-law, Rob Tyler; and nephew, Matthew Roberts. The family would like to extend a special thank you to the staff at The Fountains for their exceptional care and compassion during the past several years. They would also like to thank Hospice Compassus for their kindness and outstanding care.